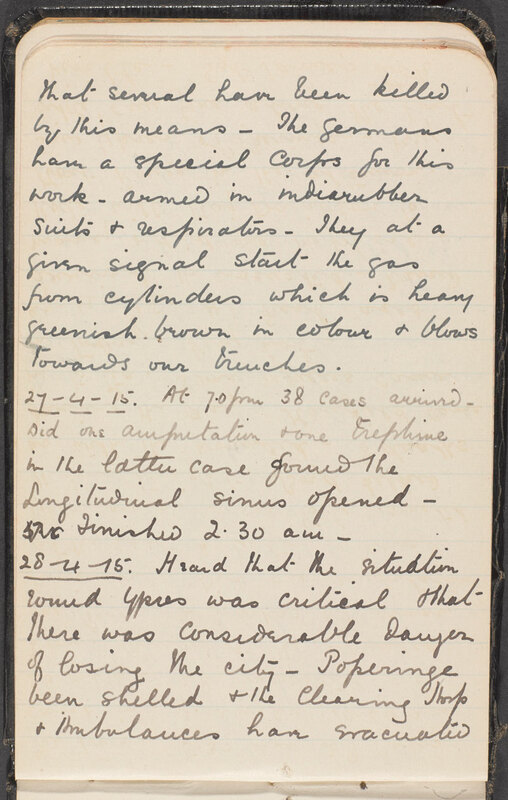 The diary entries of Lieutenant-Colonel Howard Dent, Royal Army Medical Corps, recall the Allied forces’ first exposure to poison gas during the Second Battle of Ypres. On 22 April 1915 the Germans attempted to capture the Ypres Salient, a bulge in the Allied line surrounding the Belgian town of Ypres. They used poisonous gas for the first time, exploiting the latest in scientific weaponry in the hope of breaking the Western Front stalemate. The release of chlorine gas opened a hole in the line 7km (4 miles) wide. The effect of the gas was devastating. Stunned Allied troops fled in panic towards Ypres. Over 10,000 men were gassed and around half of them died that day. However, the German High Command, having had little faith that gas could lead to a breakthrough, had insufficient reserves available to exploit the gap created by the gas cloud and support the infantry units that had followed it. After advancing about 2km (1.5 miles), the Germans were checked by a hastily arranged counter-offensive. 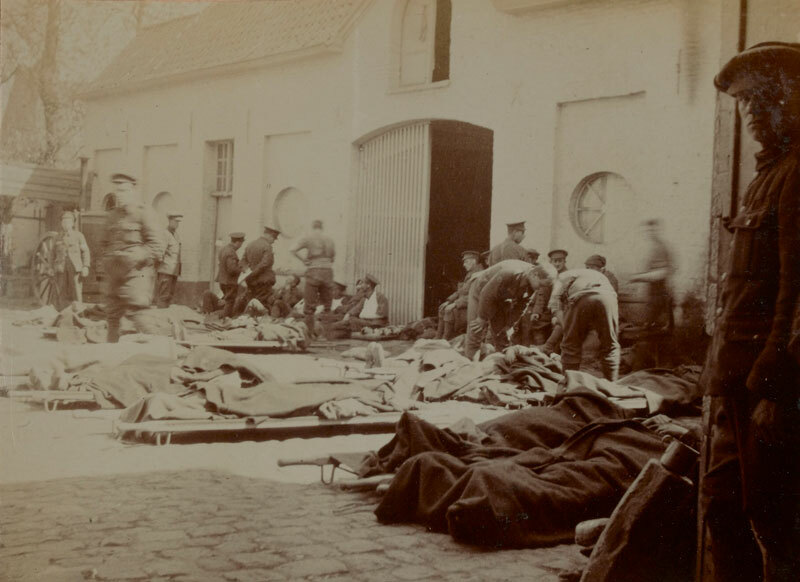 The fighting at the Second Battle of Ypres raged on until 25 May, with repeated use of gas attacks. The Germans did not break through – largely thanks to the Canadians – but they diminished the size of the Allied salient. Nearly 70,000 Allied troops and 35,000 Germans became casualties during the battle. ‘The Canadians had to go and push back the Germans north of Ypres. The French Territorials had been in front of the Germans who were armed with cylinders of poisonous gas – what the gas is so far is unknown. The “Gas Men” wear rubber suits and masks. 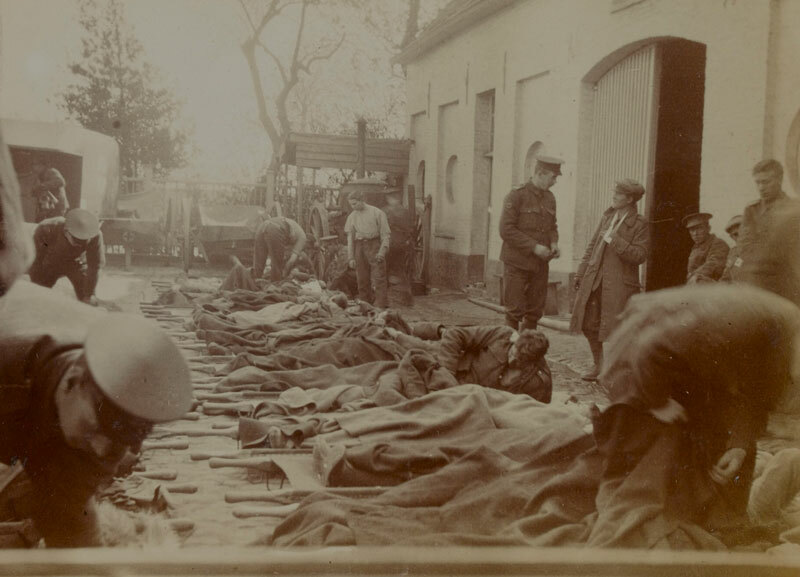 During the day and evening convoys of Canadian wounded kept coming in, including several suffering from poison gas… Had a fair view of Ypres burning. It has been heavily shelled all day and we have evacuated it. Also saw shells bursting north of Ypres and shells have fallen into Poperinghe today and also yesterday. More Canadian wounded came in. The motor [ambulance] convoy has been shelled and has had casualties. They have collected wounded from the field direct. 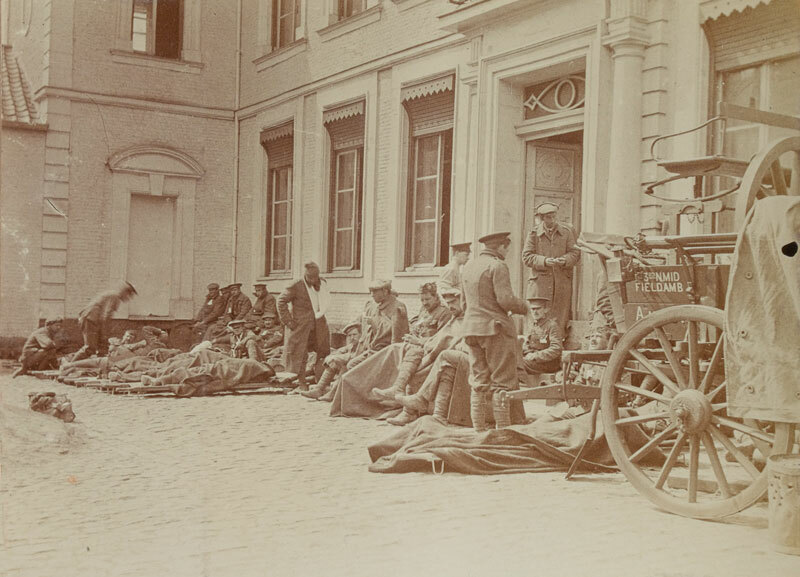 ‘The [type of] poisonous “gas” or “liquid” used by the Germans has not yet been discovered… One German officer aged 18 is wounded here. 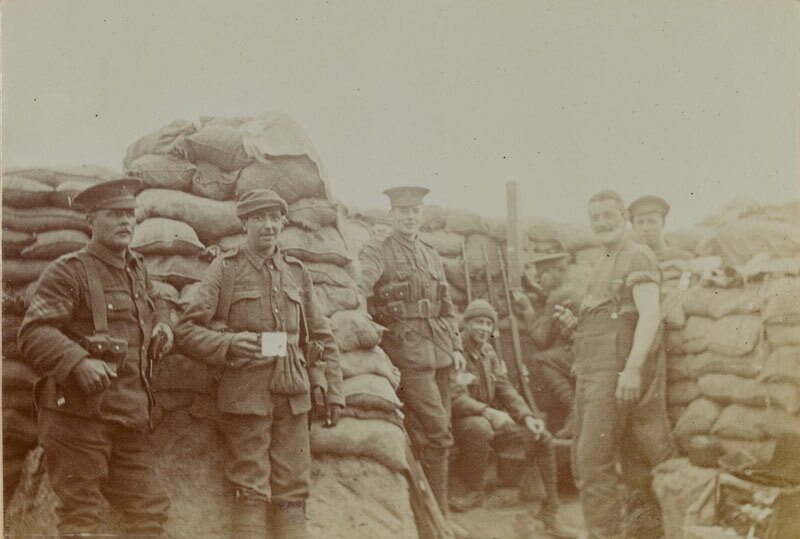 He has verified the use of poisonous “gas” or “liquid” which he says is carried in cylinders – special men specially clothed working the same – Yesterday and today has been fairly noisy from heavy gun fire… One enemy shell could be seen bursting about 250 yards in our rear the shell in its flight being distinctly heard… Sent Sergeant Mackay with McNee to investigate “gases” and “fumes” used by the Germans. At 11.30 informed that the Rest Hospital was to be turned into a Casualty Clearing Hospital and that I was to evacuate. At 1.20 commenced to do so. Howard Henry Congreve Dent (1874-1972) was born in Darlington, Durham, in March 1874. He was the eldest child of Joseph H Dent and Annie L Dent. Howard had a brother and two sisters, and his father was a banker. The family lived at 2 Park Terrace, Darlington. Howard attended Giggleswick Royal Grammar School and, after completing his medical studies, moved to Wolverhampton in Staffordshire where he lived at ‘Oakleigh’, 2 Oaks Crescent, Merridale Road. He had his own practice in the town and was also an assistant surgeon at Wolverhampton and Staffordshire General Hospital. 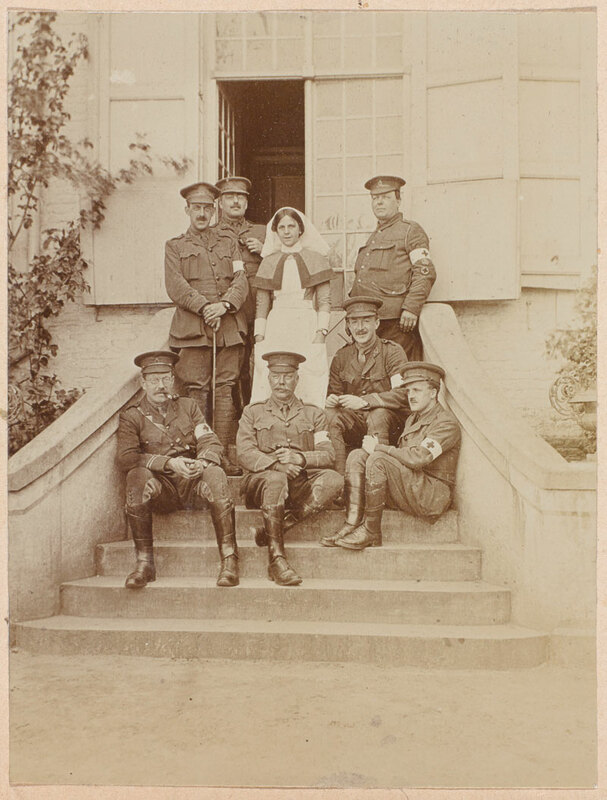 Dent served in the Boer War (1899-1902) as a civil surgeon and landed at Cape Town on 19 January 1900. 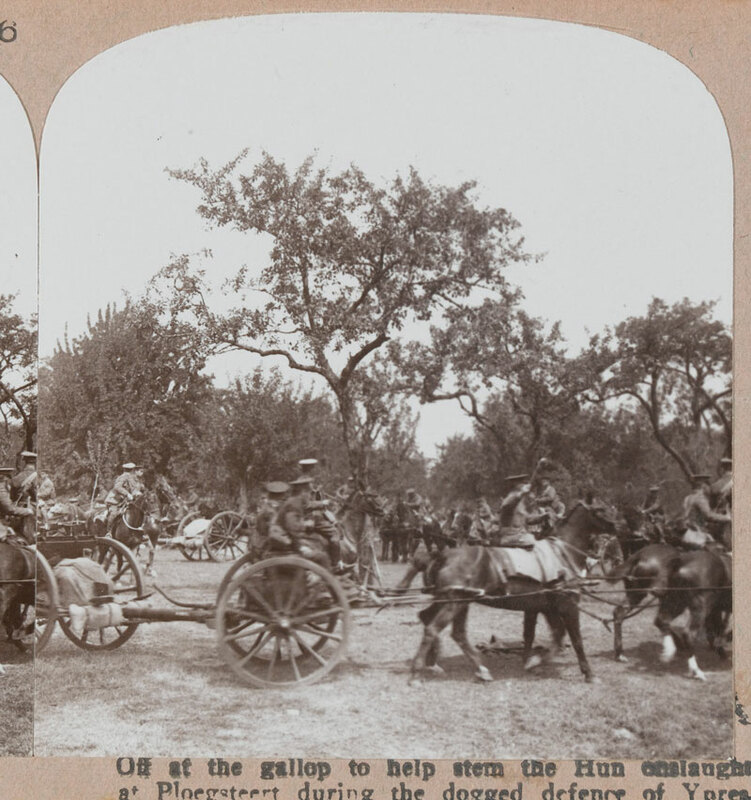 He moved up country and was posted to the 7th Division Field Hospital at Klips Kraal before joining the 4th Brigade Field Hospital for the advance on Bloemfontein in the Orange Free State. 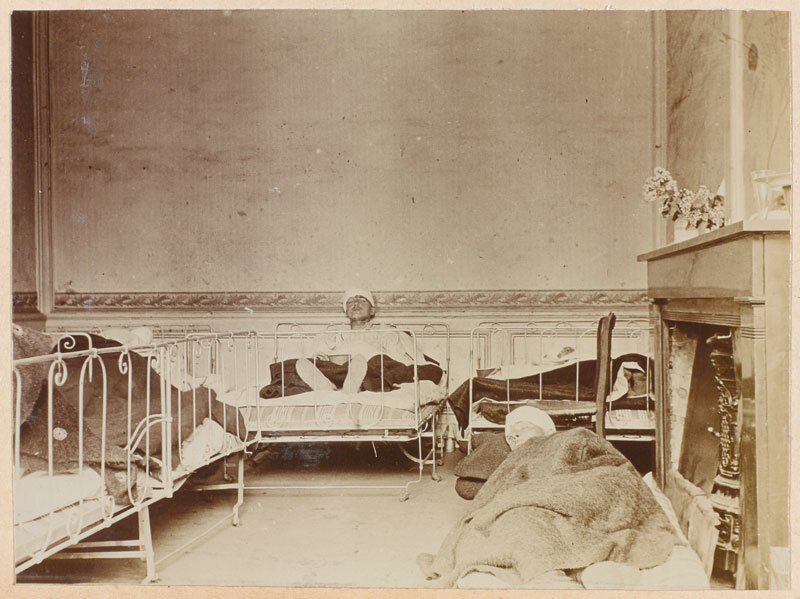 Struck down by fever while working at the Glen Hospital in Bloemfontein, on recovering he worked at No 3 Stationery Hospital in De Aar in the north of Cape Colony. He was married in 1907 to Olive Mary. They had two sons, John Inman Congreve Dent (born 1909), and Christopher Henry Congreve Dent (born 1913). Dent later joined the Royal Army Medical Corps and, following mobilisation in August 1914, he was given command of 1/3 North Midland Field Ambulance, a Territorial unit that was raised in Wolverhampton. This sailed for Le Havre on 4 March 1915. On arriving in France it moved to the front at Sailly near Armentières with 46th (North Midland) Division. Dent continued to serve on the Western Front until the summer of 1916 when his unit was sent to Ireland. He later returned to the front and commanded a variety of Field Ambulances and Casualty Clearing Stations until the end of the war. After the Armistice, Dent returned to his practice (now on Waterloo Road) in Wolverhampton. His youngest son Christopher followed him into the military and was a surgeon lieutenant in the Royal Naval Volunteer Reserve. He was lost at sea on 24 May 1941 when HMS ‘Hood’ was sunk by the ‘Bismarck’ in the Denmark Strait. By then his parents had moved to Pattingham in Staffordshire. Dr Howard Dent died in September 1972 at Bridgnorth in Shropshire.